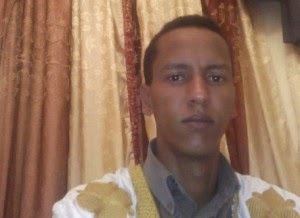 A court in Mauritania has sentenced 28 year old journalist Mohamed Cheikh Ould Mkhaitir to death for apostasy for criticizing Prophet Muhammed. According to Reuters, the journalist was sentenced by a court in the northwestern city of Nouadhibou for an article he published almost a year ago, questioning some of the decisions Prophet Mohammed took during holy wars. Some folks saw the article which he posted online and appeared on a number of websites and called for his arrest. He was arrested on January 2nd 2014 after the article sparked street protests and has been in custody ever since. When he appeared in court, he pleaded not guilty, telling the court that it was 'not his intention to harm the prophet' but he was still found guilty and sentenced to death under Sharia law. The prosecutors recommended that he be shot to death. AFP reported that the blogger fainted when the ruling was read out in court yesterday Dec. 25th. He was revived and taken to prison. His lawyers say they will appeal the sentence. According to AFP, Mauritania hasn't executed a prisoner since 1987, and has not given a death sentence for apostasy since it gained its independence from France in 1960.